I am very glad to be here with you today to discuss one of the most important questions for the future and prosperity of the European Union: how we create more inclusive societies. Historical circumstance had it, that the arrival of the first migrant boats on the shores of Greece and Italy, almost coincided with the first jihadi terrorist attacks on European soil. This debate is a landmark moment for the European Union. It is probably the last time we are debating a security initiative in the plenary, and it is also an opportunity to reflect, realising how far we have come in the last five years. Following the attack in Christchurch, I spoke to the New Zealand Minister on Monday and expressed our solidarity, offering any support they may need from the EU and Europol. The presence of 13 Mayors, 34 city representatives, 11 representatives of our Member States, and several regional, national and European organisations shows the importance of the issue. When five years ago Europe was taken by surprise and Member States were totally unprepared ,we had to start building our migration policy from scratch, from nothing. I would like to thank Minister Carmen Dan for her warm welcome in Bucharest today for our first meeting under the Romanian Presidency. Romania's Presidency comes at a crucial moment with 4 months to go until the European elections. Let us be frank: the past weeks have not been Europe's finest hour. Having 49 people on boats at sea, for almost 3 weeks, is not what the European Union stands for. Today, citizens from around 60 countries around the world can travel to the EU without needing a visa. In turn, EU citizens should also receive the possibility to travel to these countries without a visa. I am very happy to see that today Ministers agreed their negotiating position on the rules we proposed to stop the spread of terrorist content online. The European Commission and I personally are here to support Romania to make a success of its first presidency of the EU. Europe and Africa are facing the same challenges. Together we can be stronger. First, by eliminating from the web the terrorist content which inspires people to violent extremism, glorifies atrocities or gives advice how to attack us. It is a pleasure for me to be here today two years after the summit on the large movement of refugees and migrants. From companies and governmental organisations, to each and every last citizen using a connected device. Our perspective and approach can therefore only be global, for a threat which is borderless. It's an even greater pleasure to see how Europol has developed over the past three years, together with our overall security policy. 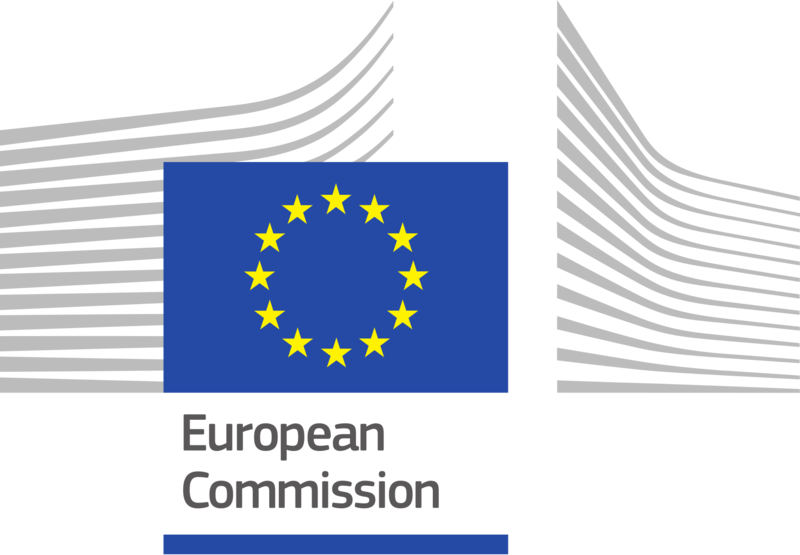 Growing from a loose intergovernmental structure into an EU agency. No Member State can do this alone. It is impossible.The only way is to adopt all missing elements and to implement our comprehensive migration policy. Migration is very real and tangible – and above all: it concerns people. What is more: European citizens are deeply concerned about this issue. Today we have had a constructive meeting on common challenges in the areas of external border control, irregular migration and security. Our discussions focussed on the priorities of the upcoming Austrian Presidency of the Council of the European Union, which will start on 1 July this year. The migration situation in the EU and its neighbourhood has continued to be relatively stable, but recent developments call for vigilance and continuous efforts and coordination from everyone. Je voudrais remercier sincèrement le gouvernement du Niger pour avoir organisé cette rencontre. With the Secretary General we discussed the global compacts on migration and refugees. The EU is fully aligned with the principles of the United Nations as far as migration is concerned. In the context of the current geopolitical instabilities that we face, we all share the same challenges – particularly on fighting irregular migration, better managing our borders and fighting organised crime and terrorism. It is my honour to open today’s event marking the International Holocaust Remembrance day. It is a day that we must mark and honour not just every year. Better protecting our citizens is at the very heart of our common work and a number one priority. That is why the role of your Committee is extremely important, and I look forward to your final report. Our debate today is very timely and I would like to thank once again this House for its continuous active interest and support in our joint fight against this odious phenomenon. Lenghty and cumbersome procedures can deter tourists from travelling to Europe. This would deprive us of investment and spending, and affect negatively the EU’s economy. I don't hide from you that I consider the European Border and Coast Guard one of my key proposals and essential element of a comprehensive migration policy. We have not only created, installed but not also strengthened the European Border and Coast Guard in in record time with our joint work and efforts. Today, the European Parliament adopted two important Security Union legislative initiatives proposed by the Commission on interoperability and explosive precursors. These new measures will allow EU information systems for security, migration and border management to work together more intelligently and will strengthen EU rules on explosive precursors. I am very glad to be here with you today to discuss one of the most important questions for the future and prosperity of the European Union: how we create more inclusive societies. If anyone would ask me what I think is one of the priorities for Europe in the decades to come, the successful inclusion of migrants in our societies would be it. Historical circumstance had it, that the arrival of the first migrant boats on the shores of Greece and Italy, almost coincided with the first jihadi terrorist attacks on European soil. Charlie Hebdo in January 2015, the Bataclan in November 2015, Brussels in March 2016 – not to mention the others that followed in Berlin, Barcelona, London and other European cities. I would like to welcome you all warmly to the start of two days where we will discuss about the future of Europe. It is my distinguished pleasure to be joined tonight by two important European women, who also happen to be my colleagues, Vera Jourová and Corina Cretu. I therefore want to thank you for your trust. For your trust back then, in the confirmation hearing, but also for your trust throughout these years: thanks to our strong cooperation we achieved a lot of work in both the areas of migration and security. Since launching the visa liberalisation dialogue in 2012, the Commission has closely worked with Kosovo to support the authorities in fulfilling all the benchmarks of the visa roadmap. We acknowledged in our final report of 4 May 2016 that Kosovo had taken important steps towards the visa free regime. A Security Union which not only protects our citizens at home, but also gives Europe a strong voice on the global stage, as a formidable actor at all international security fora. The developments in the last few days have reminded us once again that the threat of extremist violence and terrorism is polymorphous, and unabating. Following the attack in Christchurch, I spoke to the New Zealand Minister on Monday and expressed our solidarity, offering any support they may need from the EU and Europol. In a constantly evolving drugs market, reducing drug use and demand as well as drug supply requires an adequate and effective response through coordinated actions at international level. The international community needs to strengthen its action, reinforce cooperation and accelerate the implementation of our joint commitments to address and counter the world drug problem. With the new Visa Information System, we will remove blind spots in our systems and give visa authorities and border guards the information they need to do their job properly. We cannot allow criminals and potential terrorists to enter Europe undetected! The website Αvramopoulos.gr is available to all mobile devices!